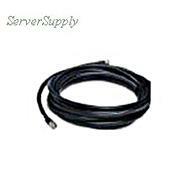 Cisco - AIR-CAB005LL-R CISCO - 5FT LOW LOSS 2.4GHZ RF CABLE W/RP-TNC CONNECTORS CISCO AIRONET (AIR-CAB005LL-R). NEW. IN STOCK. SHIP SAME DAY. Audio-Technica - ATW-1101/G System 10 Digital Wireless Guitar Syste The Audio-Technica ATW-1101/G (2.4GHz Range) is a digital wireless solution for your electric guitar or bass rig that includes the ATW-R1100 digital receiver the ATW-T1001 Unpack pocket transmitter and the AT-Gawk guitar cable.